"...I can't speak Japanese, but I love to watch Japanese movie. ", I said. 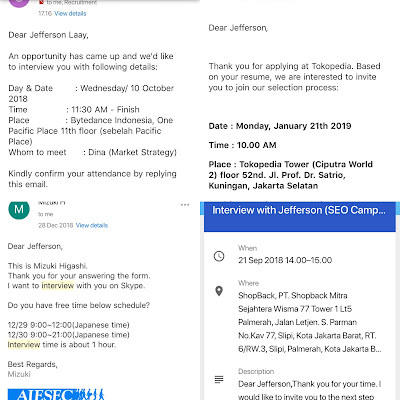 "Yes, Galileo, Suspect X, Midsummer Equation, Koizora, I Give My First Love to You, One Liter of Tears.."
"I knew some Japanese words; irasshaimase, yamete kudasai, watasiwa sashimi"
What I said inside my heart..
One Pacific Place, Gandaria Office 8, Tokopedia Tower, The Plaza Office Tower, International Financial Centre, Plaza Kuningan, Wisma 77, Cilandak Commercial Estate, Talavera Tower, The Capital Place, several online interviews with foreign people. As far as I remember, those were some office towers that I've visited for internship interview. Excluding some abandoned interview invitations. PWC, Lazada, HappyFresh, Tokopedia, Bytedance/TikTok, Fave/Groupon, Shopback, some AIESEC things, Kawan Lama, got called by HM Sampoerna twice for information Systems (meanwhile.. I'm an IR student), and.. so on. As far as I remember, Bytedance/TikTok was the effortful one. 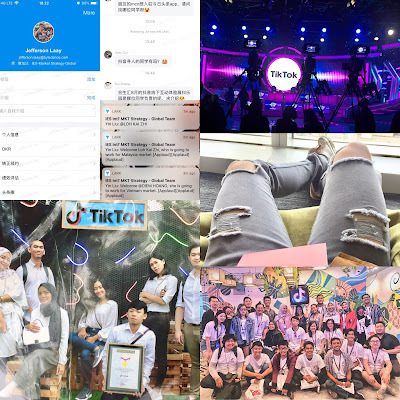 As one of the Chinese giant tech companies, I ended up 4 months at Bytedance with 3 kind of interview; with HR, with User, and.. online interview with chinese guy in Los Angeles who's the head of global marketing for TikTok/抖音. Without any relations, without university (who claims to have many pertners) intervention, I was having some interviews from several corporates, either the Multinational one or the National one. Either the startup on or non startup. 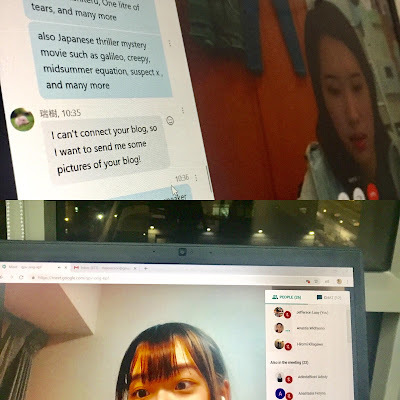 Have you ever got invited to a chinese app group chat with more than 2000++ members from around the world (US, Brazil, India, Malaysia, Japan, Korea, Sg, etc, which the majority are chinese and it makes you want to chat.. "Yo, Zup, Communist")? Have you ever held the "rekor MURI" by yourself? Have you ever scanned the office wifi with the application? Have you ever had some conversations via chat with the admin of L*mbe T*rah and indirectly it makes you know about some untold 'hot' issues such as the reason for the divorce of artists that makes you start to shake your head and then say to yourself like.. "kasihan ya, si Gempi"? Have you ever sent some marchendises to artists and input the addresses by yourself and then you went to JNE at the mall and then the mbak-mbak JNE says "Ini alamatnya gisel, mas? Si gading nggak sekalian di kasih mas? Si gempi aja kasih si gempi.."? Have you ever got some cool facilities from World's most Valuable startup per 2018 (Bytedance), such as New Year gift, Chinese New Year gift, subsidies for coffee + the barista, and parties? ...well I have, I did, when I was having 4 months intern at Bytedance (TikTok/抖音). I didn't have a clue if I'll ended up interact with "agency" things. 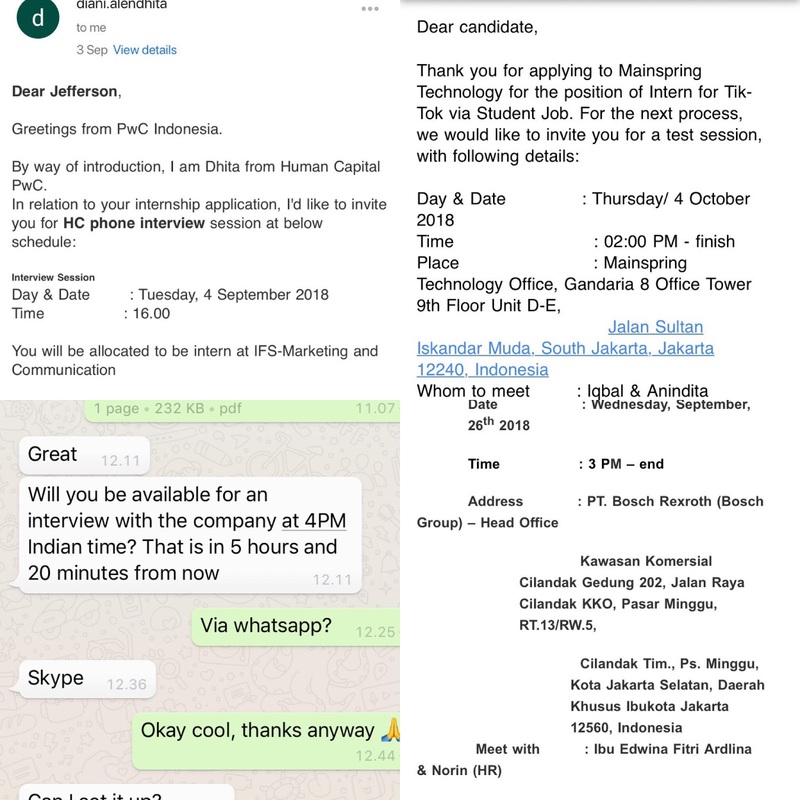 I was really enjoyed the intern because I need to give a lot of efforts first, like.. had 3 times of interview in 2 weeks with HR, User, and its head of global market which was online interview with chinese guy. Actually, my internship story was really.. complicated. 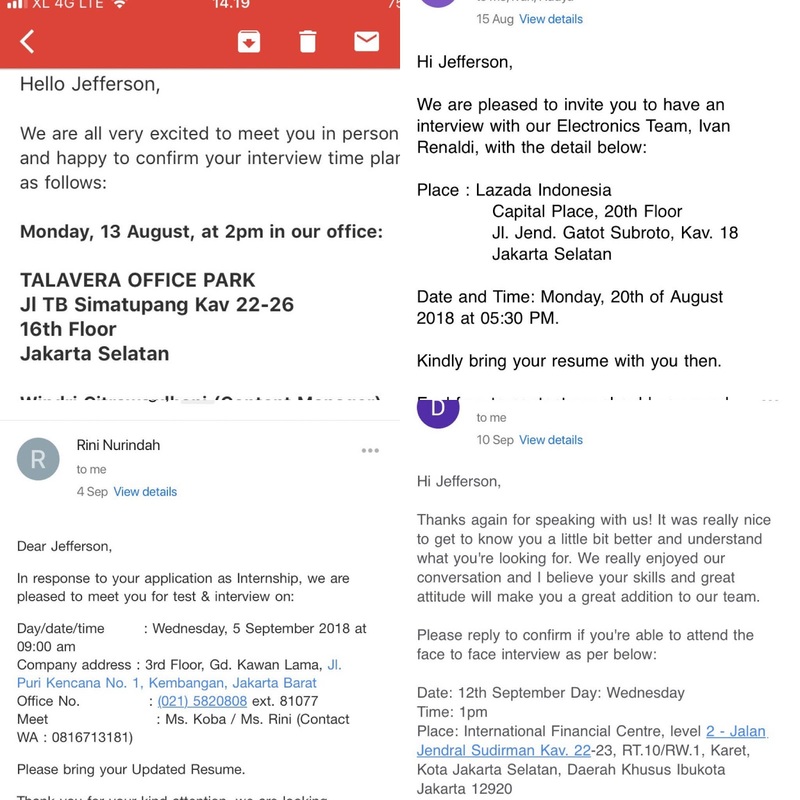 I got several interview invitations by several companies for several positions, such as.. Graphic Designer - Lazada, Content Writer - HappyFresh, Digital Marketing - PWC, SEO Specialist - Shopback, Graphic Design - Kawan Lama, Marketing - Bytedance/TikTok, Business Development-Partnership-Promotions - Tokopedia, a position that I forgot the title - Fave/Groupon Indonesia, Information System - HM Sampoerna, and... so on. All of them have good prospects and of course.. fee. 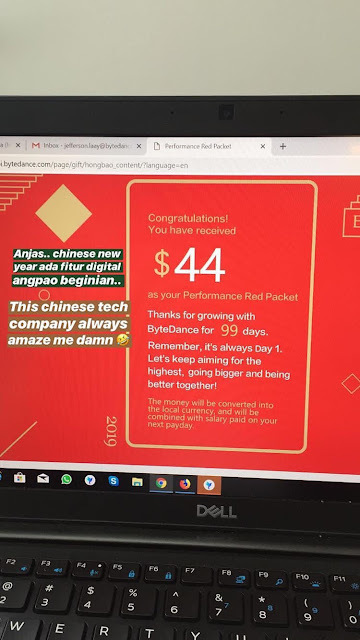 I ended up 2 months at HappyFresh, and then move to Bytedance (TikTok) because of the promising prospects. My intern story was really complex, because full of affairs and psywar; whether I move when I got another offer or stay. But, after all, it was really fun because those interview invitations could be a very good parameter for me as Int'l Relations student due to my mobilities. I never wanted to having intern at govermental institutions like ministry because I've no interest at all in that kind of job and also no salary (of course). My interest is startup, or tech company. And thanks to my cv, because being IR student doesn't mean I just be able to work at political scope but also some digital scopes; Graphic Designer, Content Writer, Marketing, SEO Specialist, Business Development, etc. 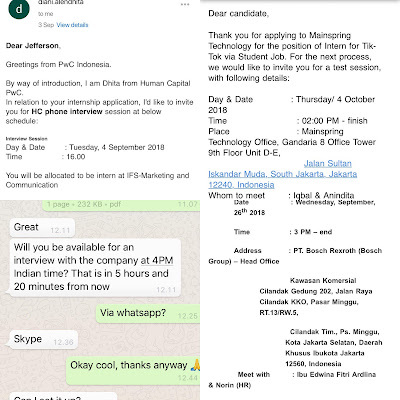 I realized there are many of my friends who wanted to have the intern at corporate too whether it's the national one or multinational and whether it's the startup or non startup but they didn't get any call or email for interview invitations. The intern period makes me realized if it's not just about your achievements, it's not just about your leadership skill in organization, but it's all about how to designed your cv and intergrate your skills, achievements, certificates, or scholarships maybe to attract the HR or Human Capital. One fine sleepy day at the office, when I wanted to grab a coffee at the pantry, I met one of my friends who went to interview for the position that same with me. Or more precisely, he applied to fill my position after my period of intern at Bytedance ended. Meanwhile, I've been processed by Tokopedia for my next intern period. I was a bit surprised when I heard his story. 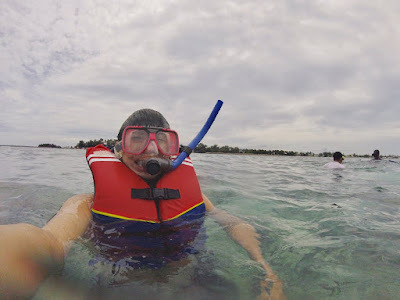 He said that he applied to many corporations but hasn't got any further informations yet, and then Bytedance call, gave him further information, but unfortunately a week later after user interview, he wasn't processed to the next step. I was a bit surprised because what I know is he's kind of an outstanding student with many achievements. But, why it's hard for him to go to interview? 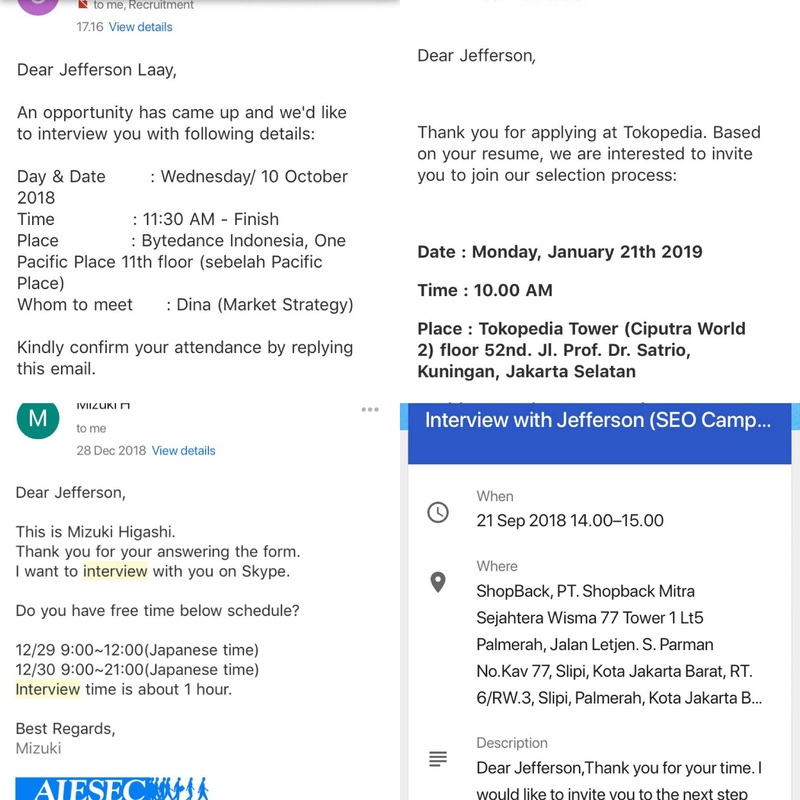 Another story, one of my friends who has a lot of organization experiences went to out of town for his intern because he said he didn't get any call in Jakarta. I would like to say that he's a guy with the most organizational experiences in the university. But, why it's hard for him to go to interview? ...maybe, curriculum vitae takes a very important role. It's all about how to create and design your personal branding attractively. In brief, some of my friends also feel fckd up to looking for intern opportunities by their will because their destination companies aren't give any futher informations. In brief and humble conclusion, when the internship program is a mandatory program from your university and you really wanted to having intern at corporate but you've to apply them all online independently without the intervention from your university and you have no link/relations to any corporates, well.. you need an ability to fight alone. For example; ability to design a powerful Curriculum vitae. CV is a main weapon to attract the recruitment team. Well, sometimes relations are more powerful, but.. let's just talk about 'ability to fight alone'. So, how to create a good CV? My answer is.. I don't know, I'm not a recruitment team, and people's definitions about good CV are diverse. Hahahaha. But, in my opinion, just be different. Be different is always a good thing to do. 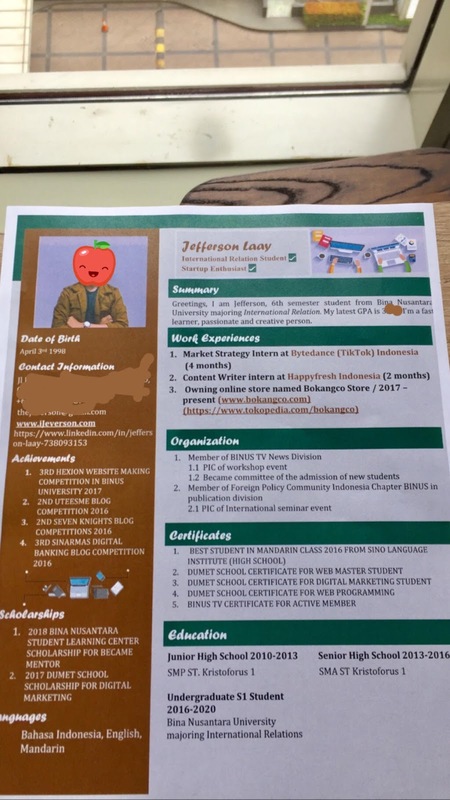 For example, if many candidates use the white color and mainstream template for their CV, then just be 'another unique color' to tell about your uniqueness. White is mainstream, Black is mainstream, White and Black like Yin & Yang are really mainstream. In my opinion, Bworn & Green are unique, because they look like avocado. ..and what's the good contents for that avocado? According to me; achievements, organization experiences, scholarships, and certificates should be the main contents for that avocado out of template things such as birth of date or education. And that's how to make an avocado that could makes the recruitment team feel thirsty, according to me. And what if you got no achievements, organization experiences, and that kind of thing but you still want to create that kind of avocado? God is good.. Besides Avocado, for me, Brown & Green are represent another awful philosophy. Green means forest, therefore it means you support the go green. Brown means Javachip Frappuccino, which means you like a coffee. And therfore, Brown and Green represent a person who loves coffee to keep him awake to guarding the forest and campaigning Go Green. I hope it's still make sense. If you want to apply for a job or intern, CV is very crucial. It's not only about your GPA, or only the Achievements, or only the organization experiences, it's all about how to design your personal branding. Because it's useless if you're outstanding but you can't design your personal branding. In case you have no relations, you really need a good CV. And, when we're talking about CV, we're not talking about you got accepted to join the company or not, but we're talking about.. you got call/email of interview invitation from the company or not. When you got the interview invitation, it means you're CV is doing well 'regardless of' whether you're accepted or not. Because "you're accepted or not" is all about your verbal ability when F2F with the recruitment team. The supreme art of internship is to subdue the recruitment team/HRD/Human Capital without any internal or external link/relations. - 2019. Tzu, Sun. A World Class University.